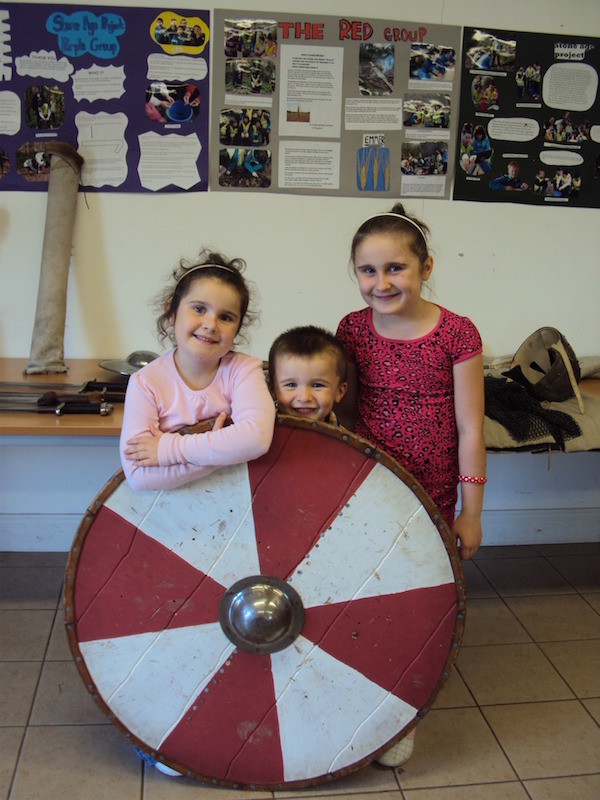 During school holidays and on weekends you can join a guided tour with a viking, a celt or a norman knight. The tour takes about 1,5 hours, takes you to 9000 years of history in a very entertaining way and keeps your children occupied. It started when we entered the Heritage park. All children got their “tool kit”, sheets of drawings which they could fill in with the provided crayons. The pictures were motives which could be found in the park. The children were also told to search for gold as there will be a cert at the end. After we watched a movie to introduce us to the rich Irish history, we hat a reception with our tour guide who was dressed up as a celtic farmer. 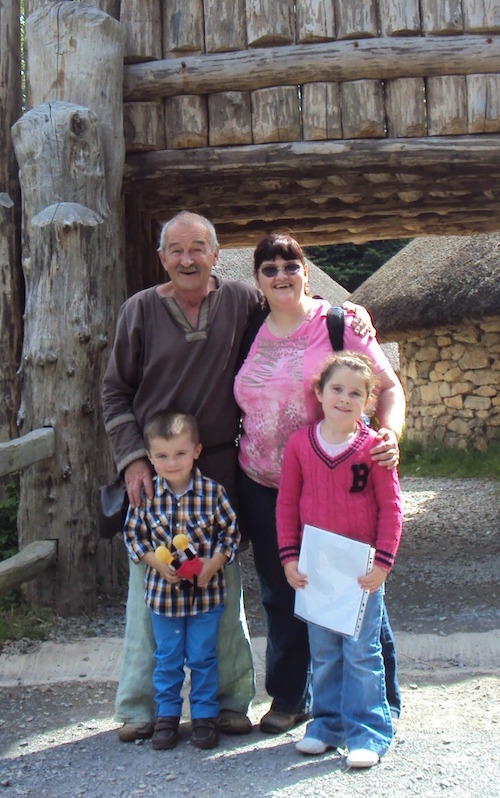 As our guide “Dublin Paddy” guided us through the ages we decided to have lunch first. After the tour we enjoyed a workshop by one of the tour guides and we could try out different armors and weaponry.